I stopped by Zara to make a return and noticed in the back of their store Zara has put out some of their new collection on display. Let's just say I have mixed feelings. Don't get me wrong, I love a classic black and white combination. However, some of the tops you would never catch me in, especially the black and white vertical striped blouse and also the polka dot printed blouse. However, that being said, I do like the black and white horizontal striped dress and also the black heels with gold platform. As it gets closer to spring-time I'll definitely be stopping by at Zara to see how their other collections are. 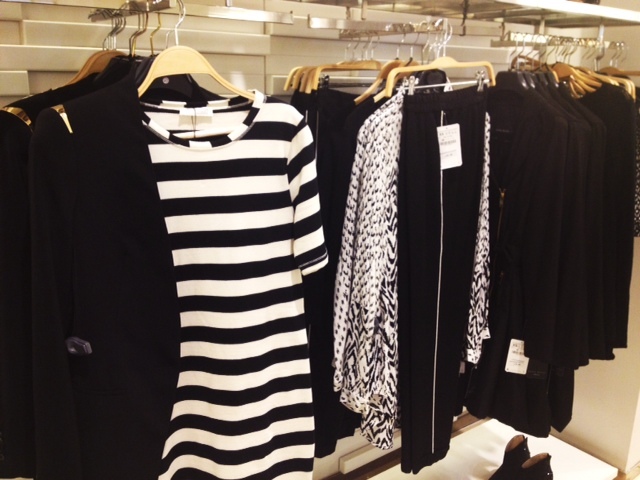 What do you think of Zara's new black and white collection?